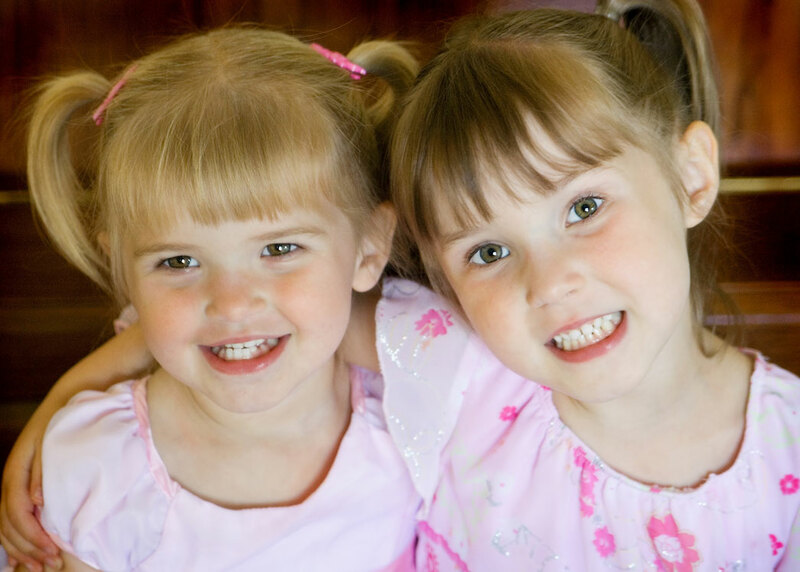 Twice the Giggles, Half the Work – It Works For Bobbi! Published on August 27, 2008 August 9, 2016 by Bobbi-Jo G.
MIX Fudge Topping, 1/2 of the amount of Cool Whip and the dry pudding mix together until blended. Stir in chopped cookies. ARRANGE 4 of the ice cream sandwiches on the a cookie sheet covered in an extra long and large sheet of aluminum foil. Top with half of the whipped topping mixture. Repeat layers, ending with ice cream sandwiches on top. 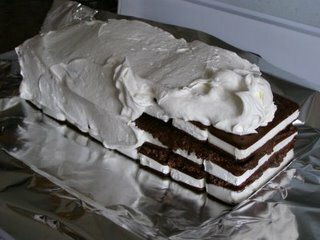 FROST or ice the entire “cake” with the remaining amount of Cool Whip. WRAP loosely in foil. Freeze at least 4 hours. We visited and opened gifts. 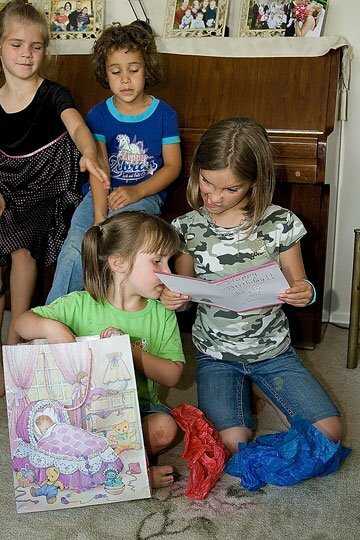 I’m not sure why my older kids think the younger ones needed so much help opening the gifts – they were quite capable. TJ read the cards out to BB and JJ, though they weren’t really all that interested. I love the look TJ gives when she’s trying to pronounce my friend, K’s, first name. LOL! 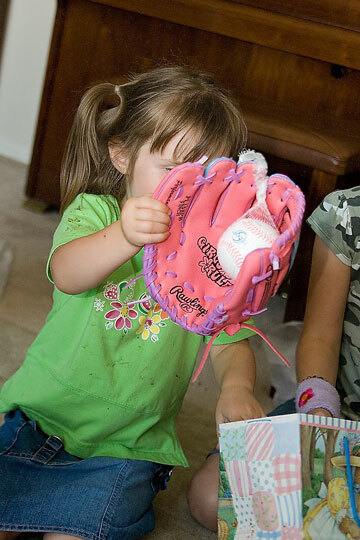 BB has wanted a baseball glove to play catch with her dad for a long time. We had two problems – 1. none of our gloves fit her properly, and 2. she is left handed. Hubby found an awesome PINK baseball glove AND it’s left handed – PERFECT! She’s been carrying around that mitt for 2 days. 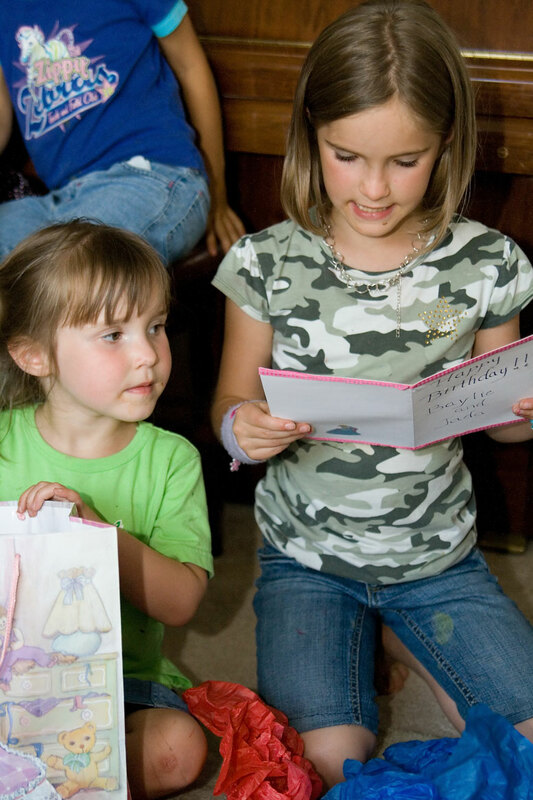 The party was fun – casual (even though K would disagree with my idea of a ‘casual’ evening). 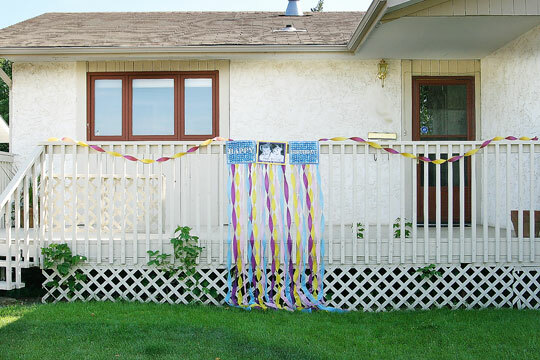 The girls loved it – including the pinata filled with small candy-filled treat bags. Nothing like filling kidlets with sugar and sending ’em home! LOL! 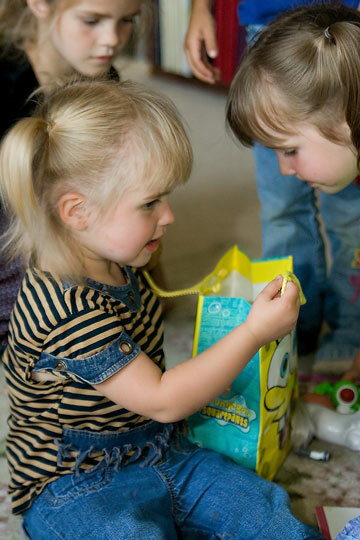 JJ spilled a small box of nerds all over the carpet – and started picking them up, one by one, to share with everyone – especially R (our bishop) – who politely declined. Especially after she had licked one of her oreos and offered THAT to him. Yummo. Soon S (their little boy) was down on the carpet with JJ eating those nerds like crazy. No need to vaccum, I guess 🙂 Ew. Oh! And tomorrow is the first day of school. It will be a sleepless night tonight! Smart woman you! One party, and one cake. : DGreat idea. I have two sets in our house. Cassie and Cami are one day apart. Colby and Curtis’s birthdays are 3 days apart. Now why haven’t I thought of that before!Glad you liked the icecream cake. It’s a little rich, eh? However, my boys couldn’t get enough of it. We had to go and make another one just yesterday! *sigh* Teenagers.LOVE the tradition you have with birthday photos. You all look awesome! Always do. That cake looks sooo yummy!! Happy Birthday to your girls 🙂 and love the pics!! ♥ Cute pictures!! !I made that cake last week too and it was so good! I was born on my oldest brothers birthday- there is 7 years between us and I hated sharing a birthday with him. I wished my whole life that my parents would have given us our own days! Maybe if he didn’t hate cholcolate as much as I love it— things would have been much different, but we always had a vanilla/white cake! That sucked!! !I like your ice cream sandwitch cake. That sis a fun idea! It seems like your two year old has grown up a TON over the last few months! How does that happen? She doesn’t look like a baby anymore!it looks like you had a great party and that cake looks delicious!